This comment is posed in the article: How do we win this war? We fight the Archons like the ancient Gnostics did: with knowledge, wisdom and detachment. In trying to understand ways of detaching Gaia from the Yaldabaoth, Cobra was asked if the figure 8 meditation for cutting the ties by Phyllis Krystal could be used. Cobra responded, excellent idea! This mediation can be done individually or as a group. If doing it alone, it is best to do the meditation for 2 minutes when you wake in the morning and right before you go to sleep. The group meditation will be held once a week on Sunday at 3:45pm GMT prior to the weekly mediation. Bring yourself to a relaxed state of consciousness. Connect with your I AM presence. State your intent to use this meditation as a tool to speed up the process of detaching Gaia from the Yaldabaoth and the two wormlike plasma parasites on all time/space dimensions & planes. Visualize two golden circles in a figure 8 on the ground in front of you. In the center of the gold circle nearest to you, visualize "Gaia" written in beautiful flowers that grow from the ground of the circle. Across from Gaia's circle, visualize the other gold circle with Yaldabaoth and the two wormlike plasma parasites on the ground. Fill each circle with the essence of each being, feel them settled on the ground before you. Have the circles touching but not overlapping. Starting at the point where the two circles touch, visualize a brilliant neon blue light flowing around the Yaldabaoth and two wormlike plasma parasites in a clockwise direction (flowing from the left up around to the right) on the ground until the entire circle is outlined in brilliant blue light. From the point where the two circles touch, let this neon blue light continue to flow around the left side of Gaia's circle, moving counter clockwise along the ground around Gaia and back to where the two circles touch to create a full figure 8. Keep this brilliant neon blue light flowing around the figure 8 for 2 minutes. As the light continues to flow, feel Gaia, Yaldabaoth, the two plasma wormlike parasites and the brilliant blue light, anchored to the ground. 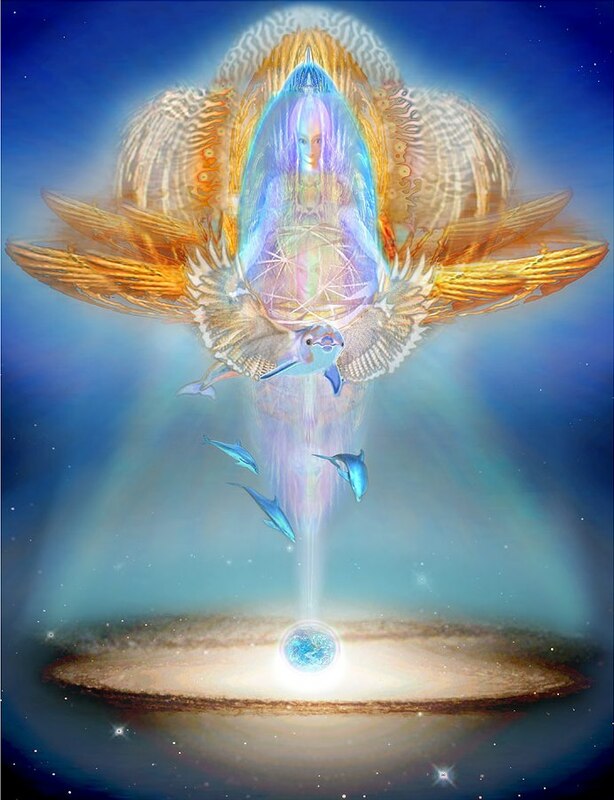 Now see Arch Angel Michael's brilliant blue ray of light cutting the ties and detaching the two circles, releasing Gaia from the Yaldabaoth and plasma parasites. Give thanks for all of the lessons learned and to all beings who have assisted in freeing Gaia. 2) Maintaining a healthy neon blue color around the figure 8. The subject of this post is quite gross, but unfortunately the truth that sooner or later we must come to terms with is that the state of this planet has been really gross, with few exceptions. As Cobra has been writing about, recently yaldabaoth is getting weaker, and various other smaller negative plasma entities are getting exposed and cleared. He wrote about a couple of big worm-like entities, and stated that there are countless others. We on this planet are all living inside yaldabaoth body, and the surface of the planet is incredibly infected. There are two main hosts to these smaller entities on the surface which Cobra has confirmed : our bodies, and the electronic devices network. He also explained that in electronic appliances, they are in every computer and cell phones, using the fuzzy logic based softwares as anchor, and they are also in wifi boxes. They have been strengthened since 2013 by insertion of plasma chips that generate stronger negative plasma field, in all devices made from then on. In our bodies, the implants generate negative plasma fields that feed the worm-like entities and help them anchor. So human society has been serving as a host for yaldabaoth and the smaller entities. In human bodies, as far as I know they are mainly located in abdomen area and neck and head area, because these are the places from where they can affect human behavior the most. The reason for this is that the brain and solar plexus areas are anchors of our mental capacity which is the anchor of our will in the personality level. This is reflected by the fact that on the physical level, from these two centers our nervous system is monitored, which can then control the rest of the body, and this is what they hijack. And of course different species of bacteria will host different kinds of consciousness on the plasma plane, negative or positive. So, to remove parasites, it will be most efficient to work both on physical and non-physical levels together. On non-physical level, clearing with the Violet flame and White fire of AN helps. Most importantly, plasma parasites (both in bodies and electronics) and implants, are tied via negative plasma filaments to the whole negative plasma network and bigger entities around the planet, in this way they can keep surveillance, and orchesrate negative behaviors, conflicts and negative circumstances for people, with quite obnoxious precision. On a more esoteric level, in people's bodies, they are located at the physical, plasma and etheric correspondences to the membrane located in the mental plane which divides higher self from personality level, so their ultimate aim is to prevent connection with the higher self. These locations are the solar plexus and the place where the spine meets the brain, so-called alta major center. 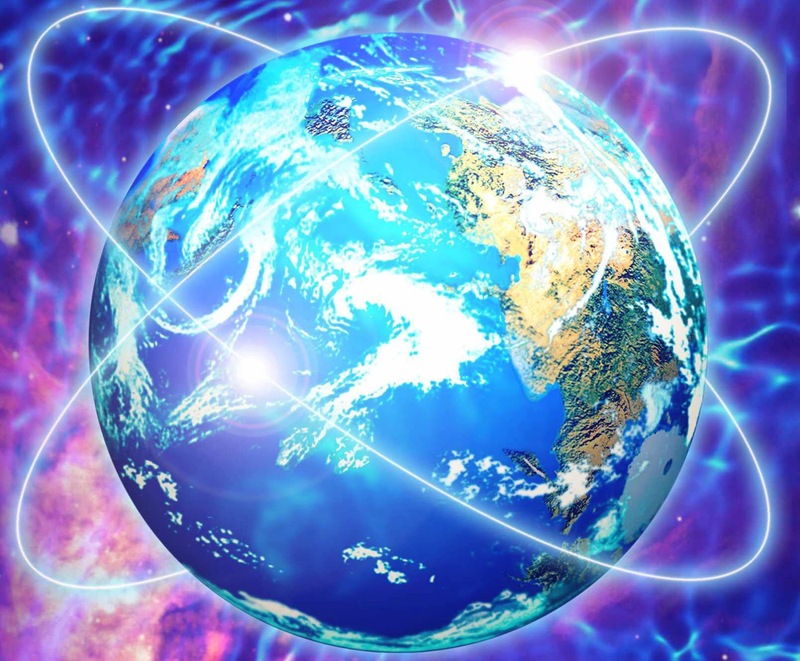 So as always, more connection with the higher self will help to clear and maintain healthier lower bodies, which is also increasing the clearing of the energy field of the planet. The consciousness of the Higher self must be anchored in our bodies, all the way down into the physical. The lower bodies are like a musical instrument, it is devoid of life, only the Higher self is the musical player. If the Higher self does not take ownership of the lower bodies, other consciousness can use it as host. The presence of Higher self is the best and only stable clearing, protection, and purpose. As stated before, the four highest planes, plus the 3 highest sub-planes in the mental, are so called spiritual realms of pure Light, where, among other aspects, our spirit (monad, anchor of will) and soul (atma, anchor of love), reside. The dotted line in the middle of the mental plane is a membrane that divides these higher spiritual planes of pure love and light above it, and the lower planes of so-called personality below it. Remember, the lower the plane, the more dense matter is, and the more anomaly. This membrane is the point where matter densified so much that in everything below that point, there has been enough anomaly that darkness and duality could manifest. Since everything is first created at the top and then trickles down the planes one by one, we can view the lower planes as a mirror projection of the higher ones, or the lower bodies as the shadow cast by the higher bodies. Now let's imagine the same lay out, but on a horizontal plane, and let's simplify it, for symbolic purpose. The 4 higher planes and higher mental planes are who we are, this is the real self. The lower planes of personality, composed of physical, plasma, etheric, astral/emotional, and lower mental, are reflections of the self in a mirror. The mental membrane (dotted line) is a cloud of mist that stands between the real self and the reflection, blurring the reflection in the mirror. In most places in the universe this cloud of mist is experienced as very thin and see-through. On this planet where a lot of anomaly has been accumulated, it is experienced as a thick fog that is difficult to see through. There are other layers of mist and fog standing between the self and its reflection besides this mental membrane, especially on this planet, especially on the plasma plane. So we must remember that what we see here of ourselves, our physical bodies with our emotions and thoughts, are only a reflection of our real self, as if cast in a mirror. The mirror is a magic mirror that can retain memories of what has been cast in it, so even when there is a thick fog, the reflection in the mirror remains. Because of this thick fog, we here on the lower planes who are only the reflections, most of the time have forgotten that we are only reflections, and started to believe that we are the self. Everywhere we look around in the physical, emotional and mental worlds, we see only reflections, as all other people, places, objects, also are only reflections of their own higher selves. As mere reflections who have forgotten the real self, there has often been this feeling of being incomplete, that our identity is not validated, which is coming from losing sight of the real/higher self. And in this forgetfulness, there has been a widespread tendency to look for that sense of completion in the world of reflections. So people hope to be completed and validate their identity by looking for positive opinions of other people, by hoping that positive experiences and achievements will finally validate their identity, and finally the reflection will not be blur anymore. But this is absolutely vain, as completion can never come from the world of reflections, but only from reconnection with one's own higher, real self. Seeking completion in the world of reflections is like placing two mirrors in front of each other, the reflections reflect each other endlessly. This world where the higher self has been forgotten is a maze of opposing mirrors where it is not possible to understand what is real. Therefore, for real spiritual breaktroughs to occur, one must unconditionally renounce all hope for validation and completion in the opinions of other people, in one's own achievements, or in any other circumstance from this world of reflections in these lower planes. One must clear the clutter of images stored in the memory of the mirror (in the mental, astral, etheric, plasma and physical bodies and their auras), which were created by experiences and circumstances in these lower planes ; in other words, de-identify with the personality, with the reflections, with the physical emotional and lower mental worlds. And in that clearer perspective, one can seek to finally see again the Light that is sent by the higher self. When the lower self/reflection looks not in the direction of the world of mirrors, but in the direction of the higher/real self, a bridge of Light is established between the self and its reflection that will clear the mists, and the reflection will not be blurred anymore, real completion will occur, as the consciousness and identification will be centered in the real/higher self who will then be in control of everything that happens. This is what is happening both individually and for creation as a whole.